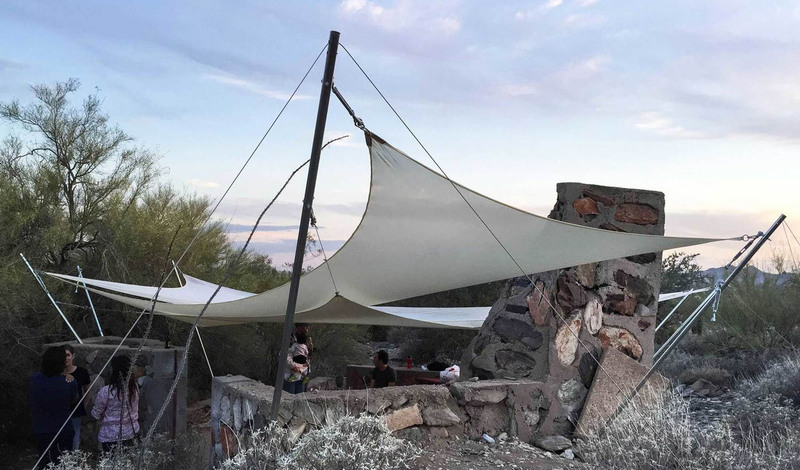 Students from the Frank Lloyd Wright School of Architecture, Taliesin West have designed and built a small shelter using mostly materials that could be found on-site in the Sonoran Desert of Arizona. The rest of the material for the project, called "Little Shelters", was purchased with a $2,000 budget. The project was initially conceived as individual exercises where Daniel Chapman, Mark-Thomas Cordova, Jaime Inostroza, Dylan Kessler, Pablo Moncayo, Natasha Vemulkonda, and Pierre Verbruggen were to design and build their own temporary shelters. The plan changed due to harsh desert conditions, and the students, guided by their instructor David Tapias, ended up designing a collective shelter. The students took only 12 weeks to build their designs, which comprise two shelters and a gathering space, using materials found on-site as well as inexpensive materials sourced from warehouses. 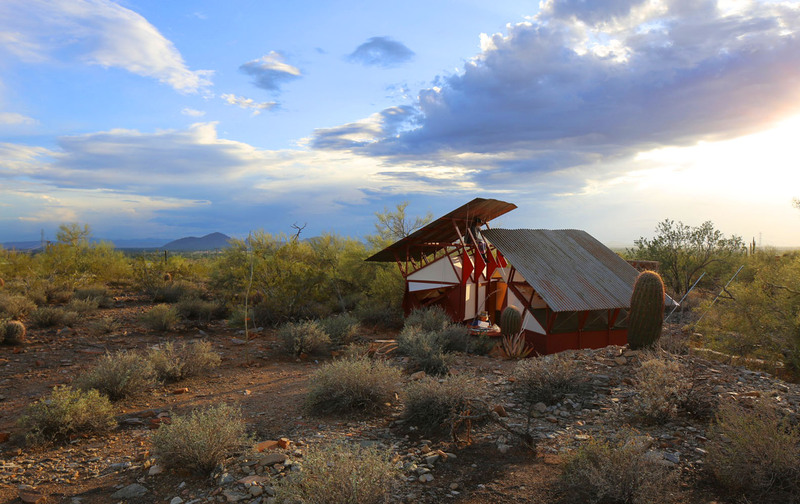 Future students will use the shelters during their time at Taliesin West and transform and document them on the little maps website. The project was initially conceived as individual exercises where Daniel Chapman, Mark-Thomas Cordova, Jaime Inostroza, Dylan Kessler, Pablo Moncayo, Natasha Vemulkonda, and Pierre Verbruggen were to design and build their own temporary shelters. The plan changed due to harsh desert conditions, and the students, guided by their instructor David Tapias, ended up designing a collective shelter. The students took only 12 weeks to complete the structure, which comprises two shelters and a gathering space, using materials found on-site and inexpensive materials from warehouses. Future students will use the shelters during their time at Taliesin and transform and document them on the little maps website.